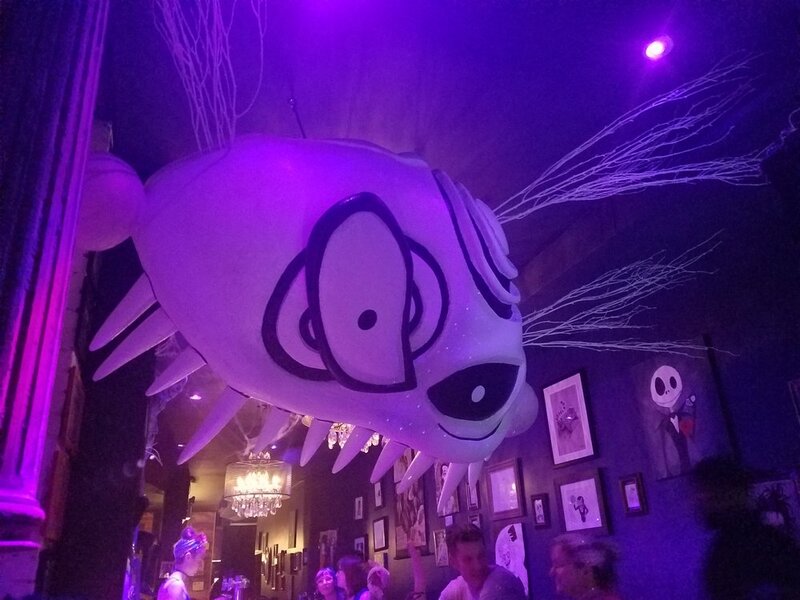 Tim Burton themed party props for a Halloween event! 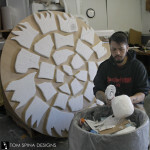 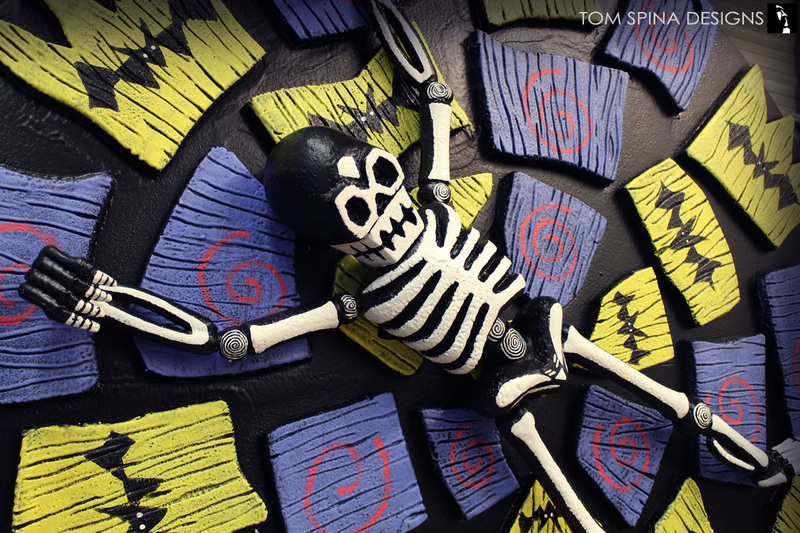 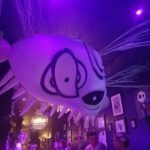 Wonderfully fun Tim Burton themed party props we sculpted from foam for a huge Halloween party in the New York City area. 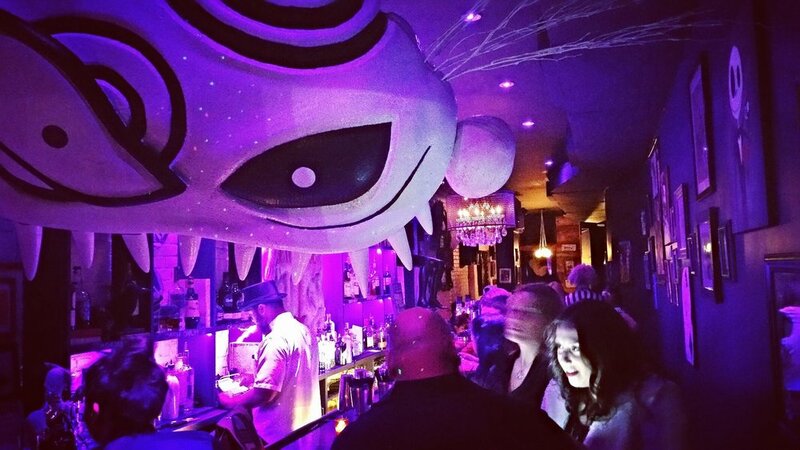 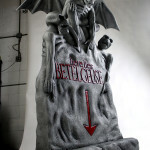 The client asked us to draw inspiration from The Nightmare Before Christmas, Beeteljuice and even the entrance to the Tim Burton exhibit at the MOMA from a few years back and create larger than life foam props and scenic pieces to help enhance the theme of his event in a one of a kind way. 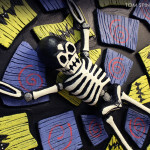 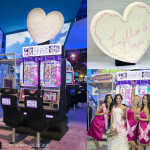 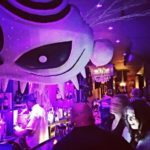 These detailed, hard coated foam event props were used as photo-ops, incredible decor and even the DJ booth at the party! 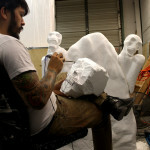 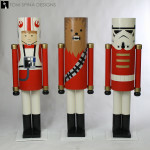 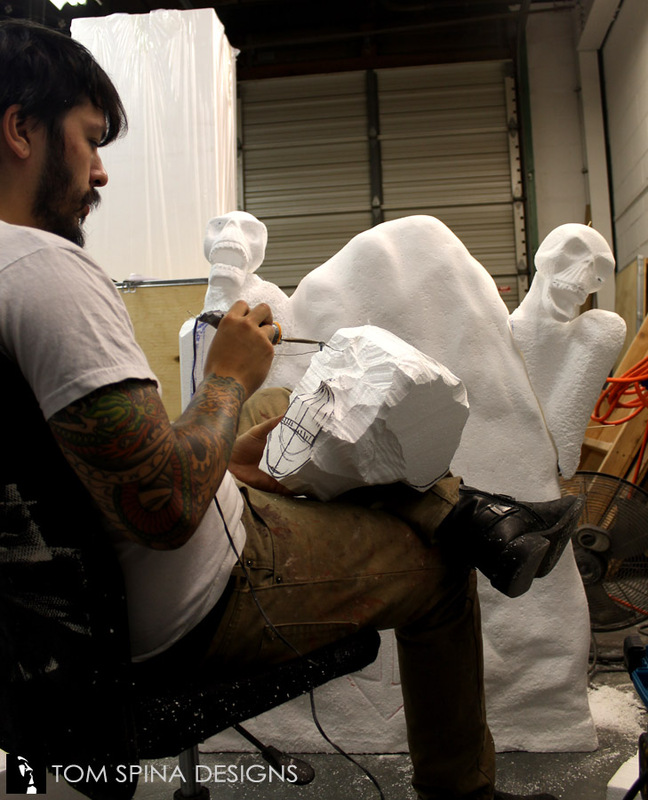 Each was sculpted by hand from large blocks of EPS foam. 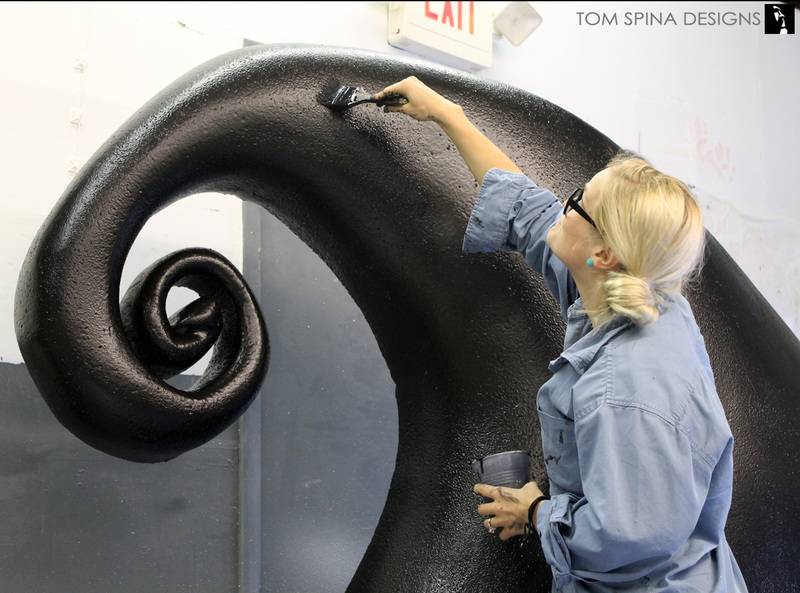 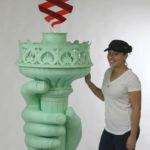 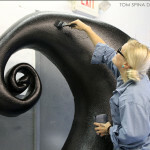 Once the foam props were carved, we coated them with a heavy duty spray coat to give them a durable surface. 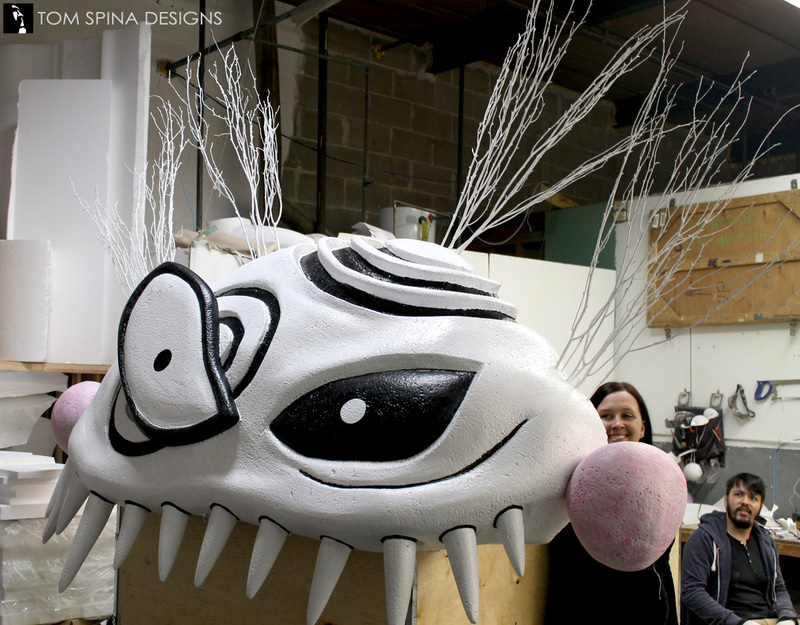 They’re big props too! 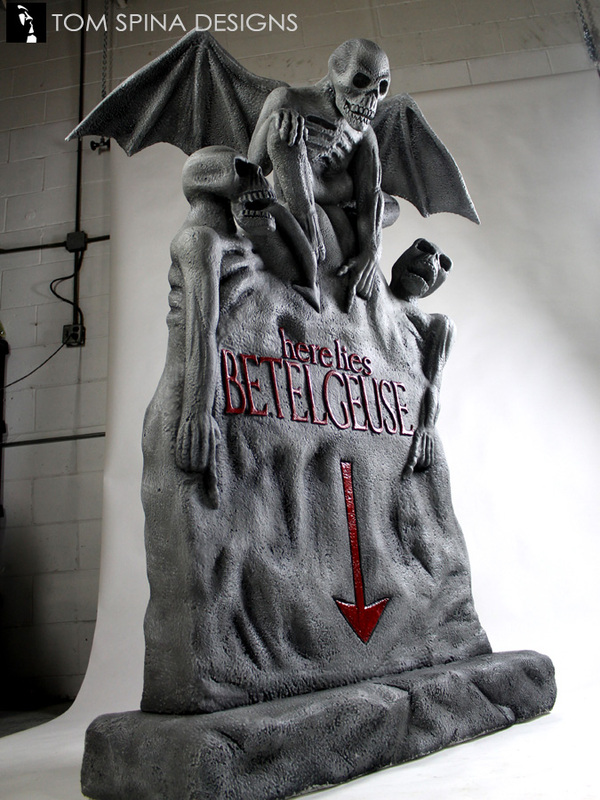 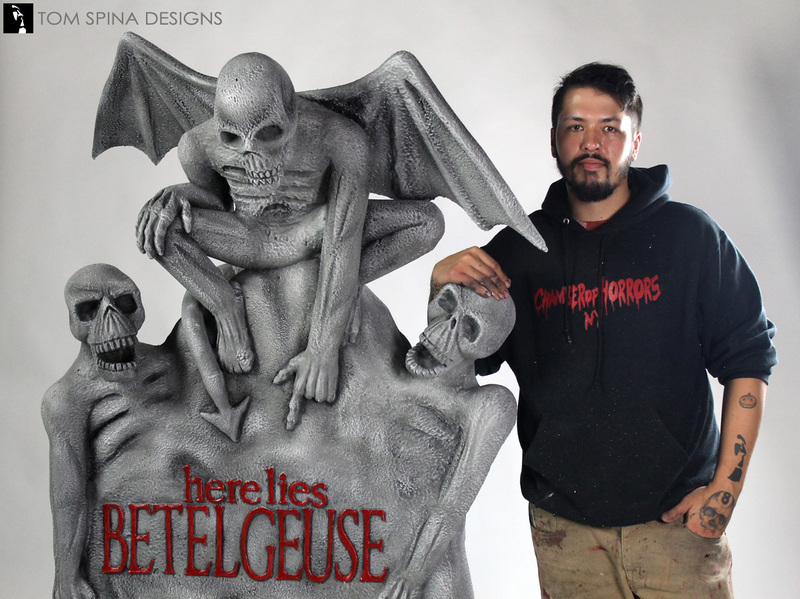 The Beetlejuice tombstone and Nightmare Before Christmas mountain are each over 6 feet tall, and the DJ booth, once set up on location, towered over 15 feet into the air! 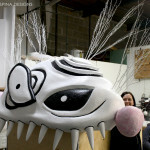 Each prop had fun elements to it. 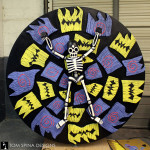 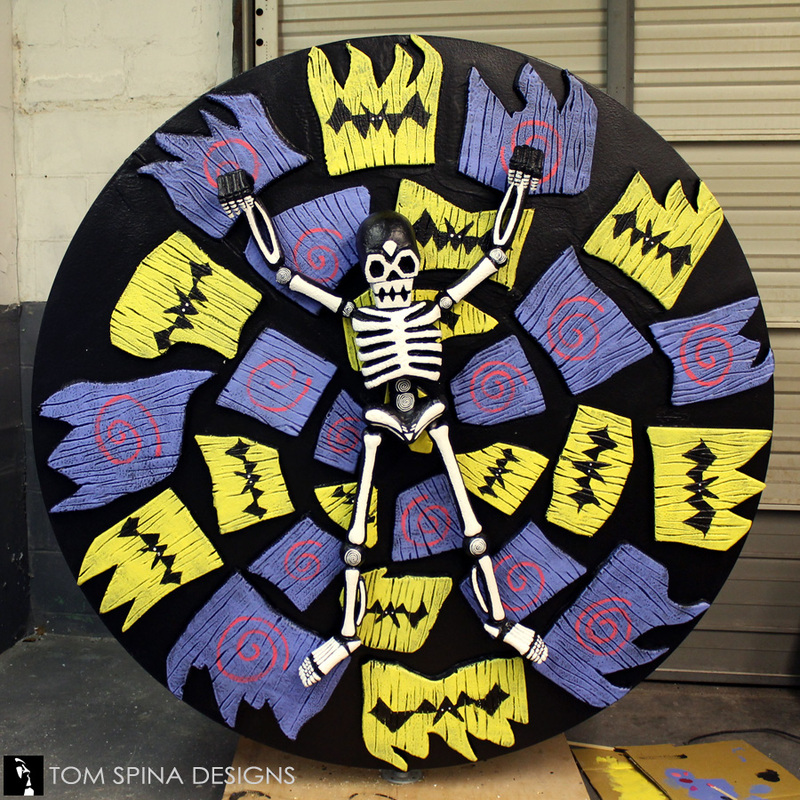 The tombstone had movie-style realism, the mountain a silhouette of Jack and Sally, the DJ booth crazy style and size… but the Oogie Roulette wheel was perhaps the coolest, as guests could spin the wheel themselves and watch the custom foam skeleton go round and round! 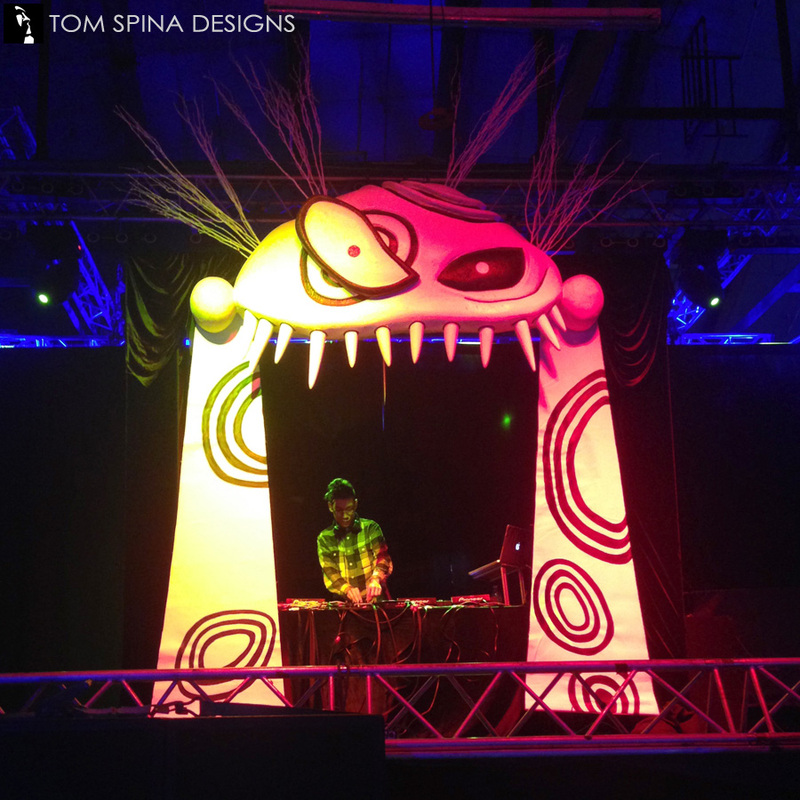 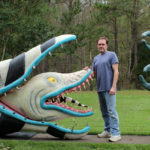 We use this same approach to create all sorts of art, and this type of scenic and prop creation can be used as amazing, attention grabbing items for trade shows and exhibits, museums and corporate events, and even for your home theater or holiday display. 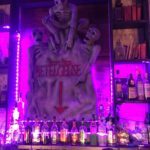 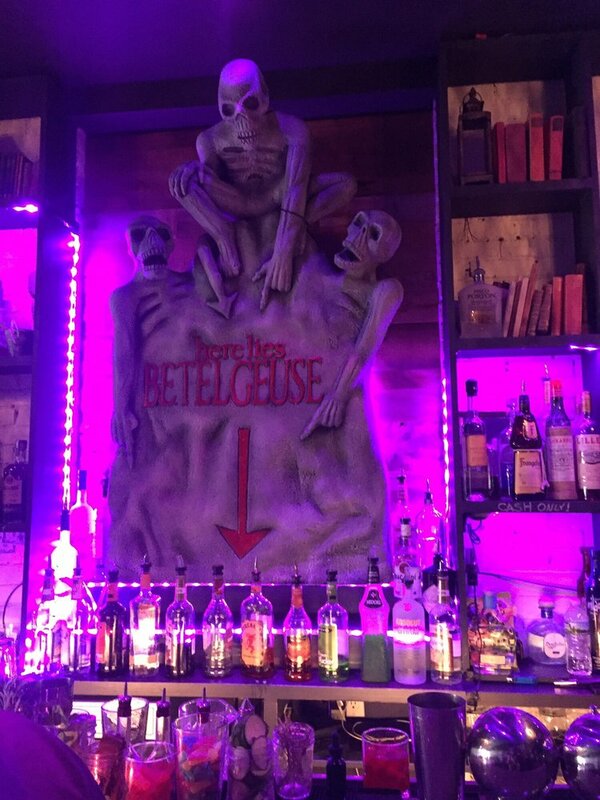 When this event was over a couple of our pieces found their final resting place at the Tim Burton themed restaurant Beetle House in NYC. 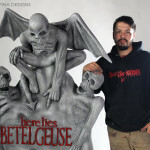 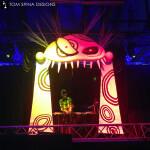 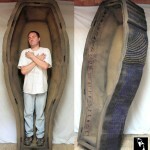 Do you need one of a kind custom foam props for your next event or party? 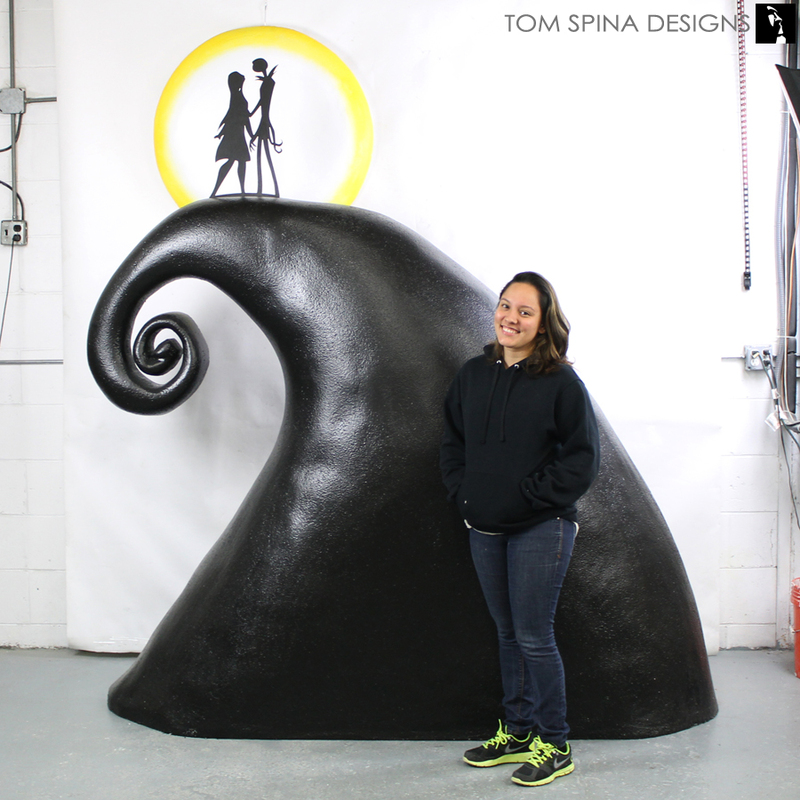 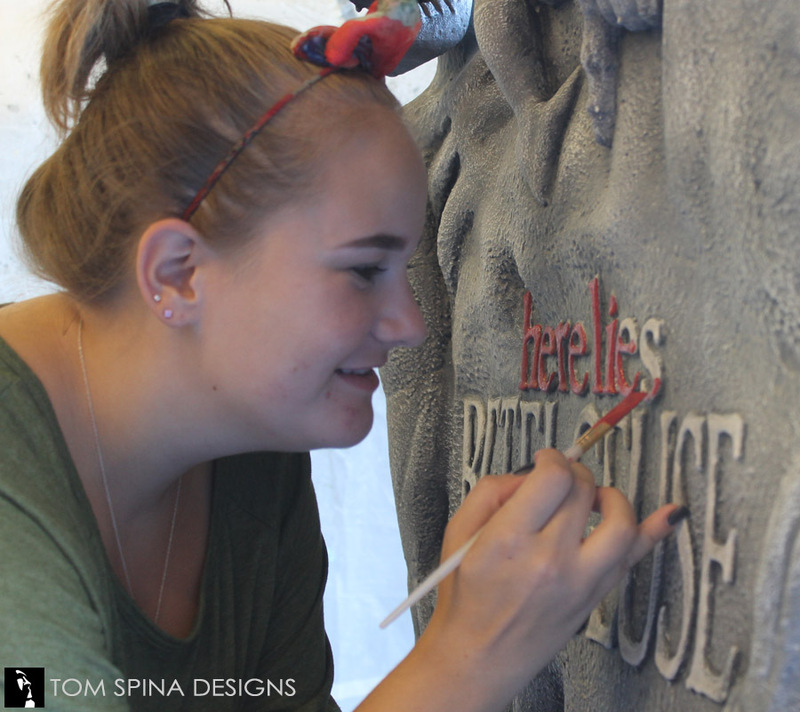 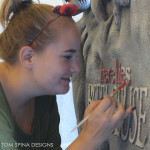 Check out how we created these themed foam party props!